What Lisbon, Eastbourne, Neil Usher’s book and Knowledge Management have in common: Importance of environment. 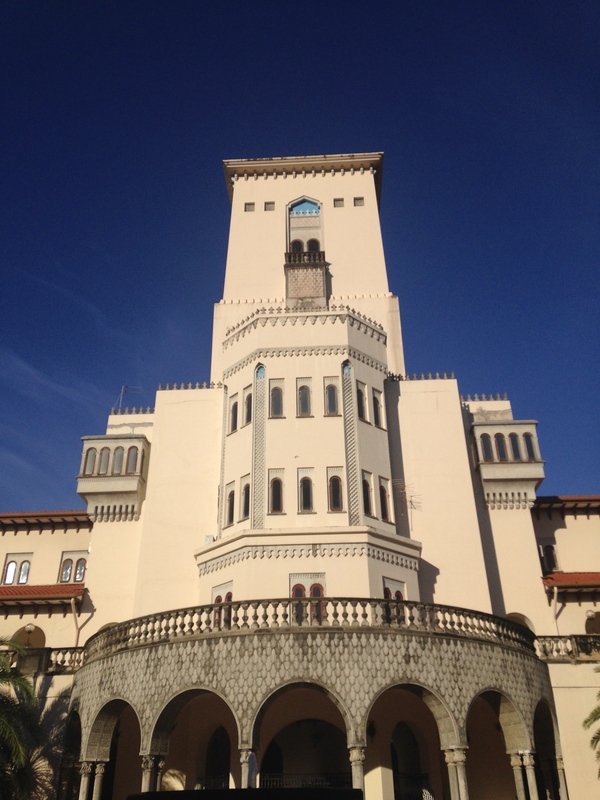 Hands up, I wimped out and decamped to Lisboa to work and write when winter (Inverno in Portuguese) hit Eastbourne last week. I had a few people I needed to catch up with, some reading I’d promised I would do as well as prepping for forthcoming masterclasses. Since my teens I’ve found a change of scenery / the right environment often acts as a catalyst for generating ideas. Indeed one of the questions I ask when trying to determine how knowledge flows in an organisation is “where do you have your best ideas or conversations?” The venue/space is important. 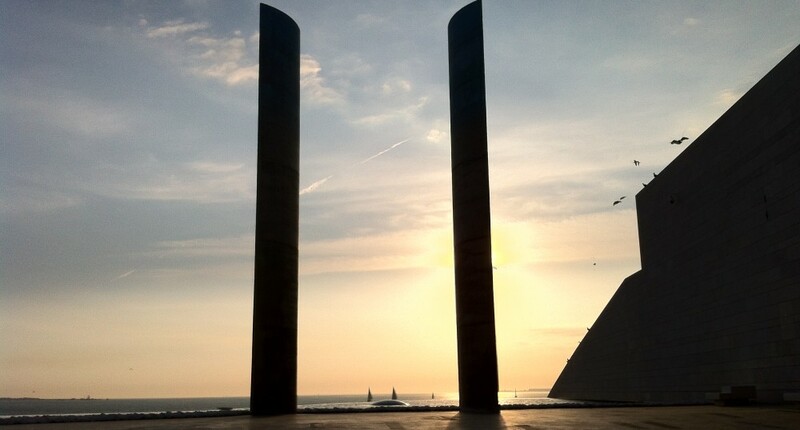 Which rather nicely brings me onto one of the books I vowed to read while I was by the Tejo. I first heard Neil Usher at the SocialNow Event run by Ana Neves in Lisboa in 2017. 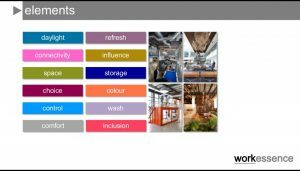 He gave an entertaining presentation in which he presented his hypothesis that there are 12 essential Elements (design principles) all good workplace designs require. 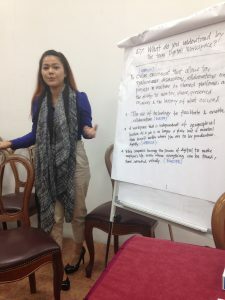 Coming hard on the heels of research I’d conducted earlier that year and a Masterclass I’d run in Asia on Collaborative Knowledge Spaces this was music to my ears. 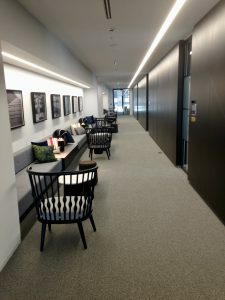 I’ve always believed in the importance of planning for “Orchestrated Serendipity” when designing spaces that encourage the sharing of knowledge. 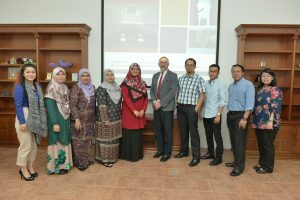 Neil’s presentation struck a chord and I vowed to go and see some of his projects. 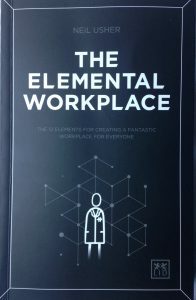 I was delighted therefore when I learned Neil had ‘put pen to paper’ and written “The Elemental Workplace” an easy to read tome that I imagine will become essential reading for people looking to create a stimulating enviroment in which to work. Already my copy has plenty of dog ears and I found myself drawn to Part One – Why, and Part Four – What could possibly go wrong? 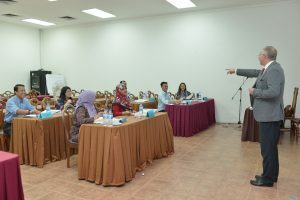 An effective workplace is one that is built on the principle of simplicity, an effective workplace is one that inspires and energises and an effective workplace is one that can facilitate learning and development. A fantastic workplace can make a huge contribution to the customer advocacy of an organisation by creating a natural association with admirable values and looking after its people. This is a book those involved in Knowledge & Information Management should read a few times. The checklists are great but you will have to work out who owns the collaborative knowledge space topic and where the idea fits in your own programme (if at all). And so to Lisboa where I spent a hectic Sunday morning out and about seeking examples of Street / Urban Art. Bear with me as I tell you why. Fortunate enough to live in Lisboa as well as Eastbourne I’ve been struck by the difference in the way some of the less salubrious parts of both cities have dealt with urban deprivation. 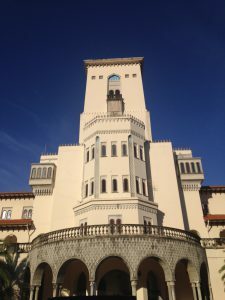 The Galeria de Arte Urbana of the Departamento de Património Cultural (Department of Cultural Heritage), from Câmara Municipal de Lisboa (Lisbon’s City Council) has as it’s main mission the promotion of graffiti and Street Art in Lisbon, in a official and authorized scope and in a pathway of respect for the patrimonial and landscaped values, in opposition with the illegal acts of vandalism that harm the City. The district of Padre Cruz is the largest Urban Housing development in Europe with some 8,000 homes. 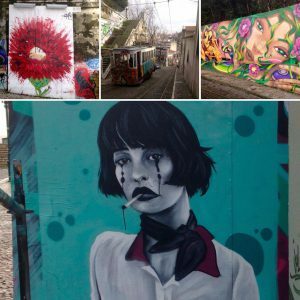 Violence, poverty, drugs and deprivation were rife in 2016 before the Municipality introduced the concept of Urban Art with the active engagement of the local community. The transformation has been amazing: residents now have a pride in their community and the incidence of crime has decreased dramatically. I am not comparing today’s businesses with Padre Cruz but I am posing the hypothesis to those who are skeptical about the importance of creating the right environment for collaboration, knowledge sharing and human interactions – Orchestrated Serendipity! Back in Lisboa I found myself surrounded by numerous visitors all marvelling at the murals that have been painted in various parts of the city at the behest of GAU. It’s not a coincidence that the resurgance of a vibrant artistic and technologically gifted workforce has at its fulcrum a decision taken by the Municipality to set up GAU at a time of deep austerity. That they curate the work providing a legacy for future generations is also farsighted. Why is this relevant? 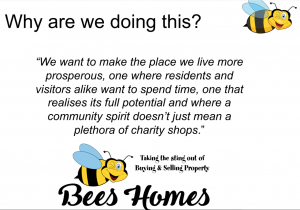 Because as part of our commitment to our community Bees Homes (the business we set up some 10 months ago) is working with the authorities in Eastbourne to try and transfer some of the knowledge gained in Lisboa and create a version of Urban Art here. We all know that a house ‘staged’ properly with good pictures will attract more buyers and achieve a better price than one that is not. The same surely applies to the environments in which we live and work? When your environment speaks to who you are and what you do. 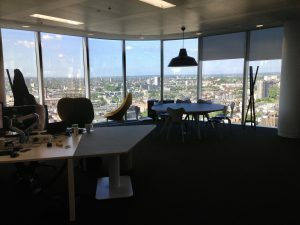 An invited guest at KM Legal UK in Canary Wharf I was looking forward to a less participative role at Ark’s flagship event for Legal Knowledge Management professionals. But the keynote speaker was unable to attend and so at very short notice (2 hours) I agreed to talk about a topic which I’ve been spending a fair bit of time on these past few months namely “Developing Effective Collaborative Knowledge Spaces“. A separate account of that event and the NetIKX afternoon I ran the previous week on a similar theme will appear in due course. 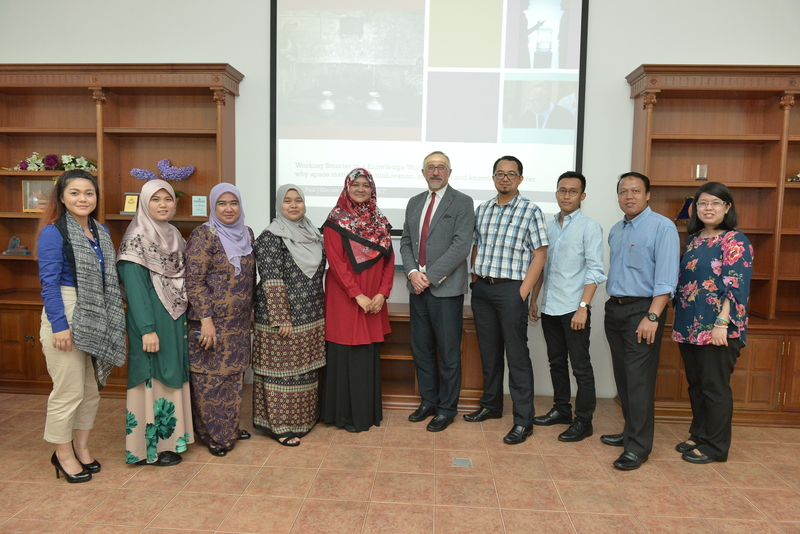 Suffice to note both were very well attended with enthusiastic participants. I want to focus instead on my visit last Thursday evening after KM Legal to Aecom‘s London office in Aldgate. I confess I knew nothing about them even though as I discovered I’d seen their work in many countries. When Malcolm Weston, who was at the NetIKX event and gave an interesting description of his organisation’s building, asked if I’d like to see what they’ve done I jumped at the opportunity. And I’m glad I did. 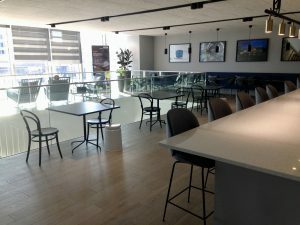 In gauging how effective the space is I refer to some of the elements Neil Usher had used a few weeks ago in Lisboa at SocialNow in a great presentation describing the collaborative environment he created at Sky. Here’s how 4 of his 12 stacked up at Aecom. 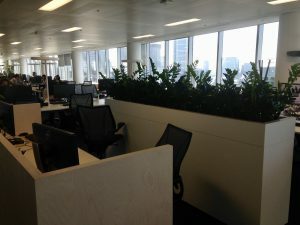 One of the prime contributors to an effective collaborative environment, it was noticeable how Aecom had maximised the use of natural daylight especially for breakout areas. Ambient lighting is supported by excellent desk top lighting that can be adjusted for different tasks. I have always believed in the importance of plants. 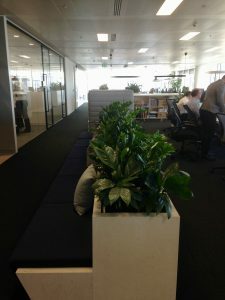 Aecom appear to agree as each ‘hub’ or work area is separated by plants not filing cabinets or screens as many organisations do. Nutrition is key: few of today’s ‘factories’ house manual labour of the sort that was common twenty years ago. 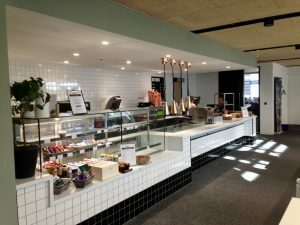 It’s about refreshing the brain so Aecom provide great food at great prices in a wonderful setting. Texture and soft materials are hugely important in creating moods and absorbing sound. 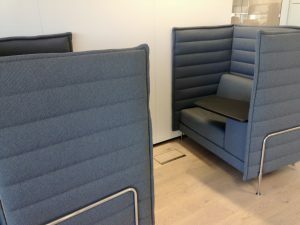 Two great illustrations: canvass chairs for individual conference calls and soft furnishing and fabrics outside of the client meeting rooms. 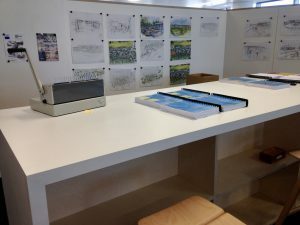 I chose not to find out what Aecom did or what it stood for before I went hoping that it would become clear from the way their space is planned. Words that came to mind as I toured their building: professional, quiet, understated, calm, dedicated, experienced, innovative. 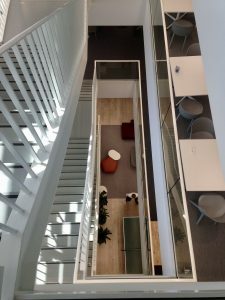 Aecom’s office housed over 5 floors 4 of which are interconnected by an internal staircase (all protected by fire proof materials) had been really well thought through and feels like its a great place to work.